Levon Sagatelyan joined the firm as Of Counsel after 37 years of leading a respected law firm and practice grounded in the traditions of the San Mateo County community. A former President of the San Mateo County Trial Lawyers Association and a member Emeritus of the Board of Directors of the organization, Mr. Sagatelyan serves a diverse and loyal client base in transactional and civil litigation legal matters. Actively involved in the San Mateo County Bar Association and its Probate and Estates Section in particular, his practice emphasizes estate and trust litigation and estate planning and administration as well as general business, real estate and general civil litigation. Mr. Sagatelyan regularly represents individuals in contested trusts and estates matters, with components involving complex factual and legal issues affecting the most vulnerable in our society: the elderly and those dependent adults most exposed to financial and physical abuse. Mr. Sagatelyan is recognized for his enviable ability to maintain calm in highly stressful or hostile situations, handling emotionally charged and sensitive allegations often among family members who have become adversaries and litigants. 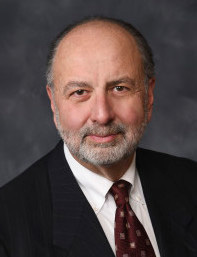 Mr. Sagatelyan has been serving as a Judge Pro Tem for the San Mateo County Superior Court for over 30 years and is an Arbitrator for the San Mateo County Bar Attorney Client Fee Dispute Panel and is certified as an Arbitrator on the fee dispute panel for the State Bar of California. He appears regularly on local continuing education panels as a lecturer in the area of Estates and Trusts. AV Peer Reviewed Rated for pre-eminent highest ratings, and for Ethical Standards and Legal Ability.